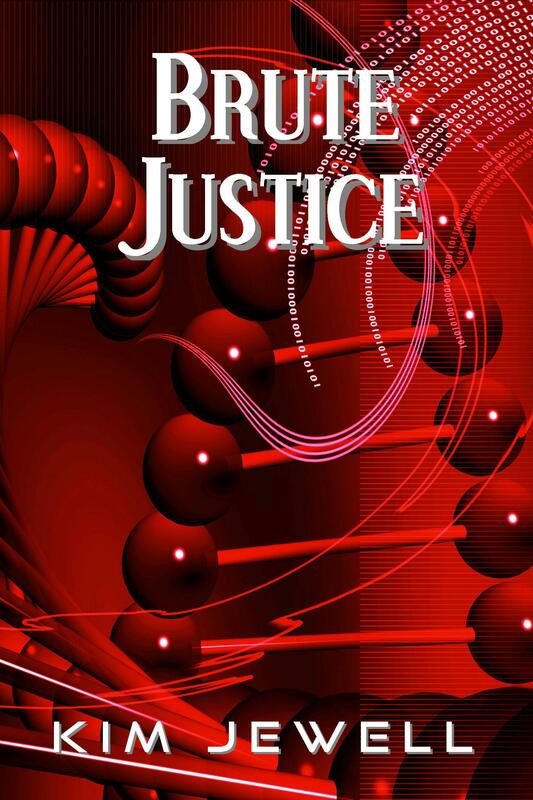 Today I am pleased to welcome Kim Jewell, young adult fantasy author of Invisible Justice and Brute Justice. Earlier this year she also released Misery’s Fire. Let’s get right to it and let Kim tell us about her books. Q. I see you have three books out. Two from the Justice series, Invisible Justice and Brute Justice. Can you tell us a little about the series and what’s up next for Sam, Leesha, and their gang of genetically modified super teens? By the way, I see you have a new character in Brute Justice, Jade. Nice name. You can see why I’d be partial to it. 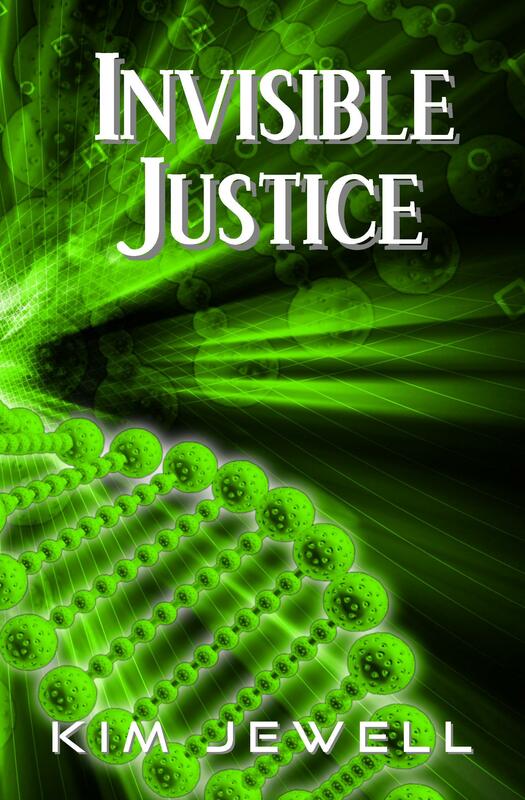 Invisible Justice is told from the perspective of Sam Dixon, a fairly typical 16-year old, at least until he starts to experience random bouts of burning fire sensation that spreads throughout his entire body. The flashes don’t last long, but they’re excruciating. They also leave him with heightened senses – he can see farther (and in the dark! ), hear things blocks away, smell the faintest of chemicals in the water… The powers come and go just as the flashes of pain do, but each time they last a little longer, and eventually strengthen and manifest into other abilities. When the flashes are done, the powers stay for good. A random meeting connects him with Leesha Conway, another teenager who has already gone through the flashes, and is left with the power of telekinesis. She can lift and move pretty much anything, people included, with just the power of her mind. They team up to find out what is happening to them and who is responsible. Along the way, they find two more teenagers who have been affected and the team works desperately to track down the doctor responsible for the genetic manipulation. He’s not entirely honorable, though, and will stop at nothing to control the teens once they’ve started realizing their powers. Brute Justice picks up where IJ left off, the evil doctor is still in hiding, and they finally find him and start tracking him like he’s been watching them. The four teens start gathering intel on him, waiting for the right opportunity to approach him for questioning. Yes, they do run into another teen named Jade, but the mystery about her is that she has been through the flashes, but hasn’t realized a power of any kind. They also find yet another teen toward the end, and without giving up too many details, this character adds a very interesting dynamic to this book and for the other books to come. Q. Tell us about Misery’s Fire. Is it the first in a series? Misery’s Fire is a story about a nineteen-year-old (Grant) who gets killed when he tries to avenge his sister’s (Misery is her name) murder. He wakes up in hell with a caseworker named Angelo whose only purpose is to make Grant as miserable as possible. When he can’t break his spirit, he hastily resorts to a punishment from a flip comment Grant makes about nothing being worse than high school. So he sends him back to the fiery pits of cliques, chicks and acne. But it was his story, so I did as he instructed. In the end, Grant gets plopped down in this fancy private school (polar opposite of his former impoverished life) with nothing but the clothes on his back and a bag full of freshman books. New body, new face, no one to turn to for help. So he is forced to learn how to survive, and make choices based on his new sense of right and wrong. Angelo plays his part, throwing evil temptations at him, and Misery has some divine intervention as well. 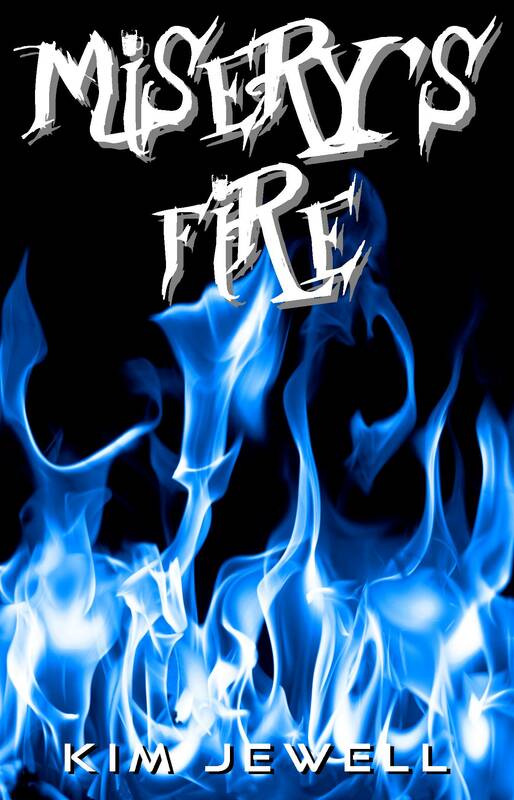 Misery’s Fire was intended to be a stand-alone book, but I’ve had several readers ask for more – anything from Angelo’s story in hell, to Misery’s back story, to a sequel about Grant and a continuation of his new life. Q. Okay, now tell us which book was your favorite to write. You can be honest. Your secret is safe with us. Invisible Justice. Gosh, that’s hard to choose between your children, but IJ was the one that got me started in this adventure. Strangely enough, I didn’t tell anyone – not even my husband – that I was writing fiction until I was well into the project. My confidence in myself was shaky – I was afraid that I’d not finish the project, and even if I did, people would think it was rubbish. Thankfully, everyone has been incredibly supportive, and they seem to love reading IJ as much as I loved writing it. Q. When you aren’t writing about high school as hell (literally) and injecting babies with super abilities, what do you do in real life? I’m the Director of Development for a regional law firm (six offices) in Indiana, and I get to use my creative juices every day. 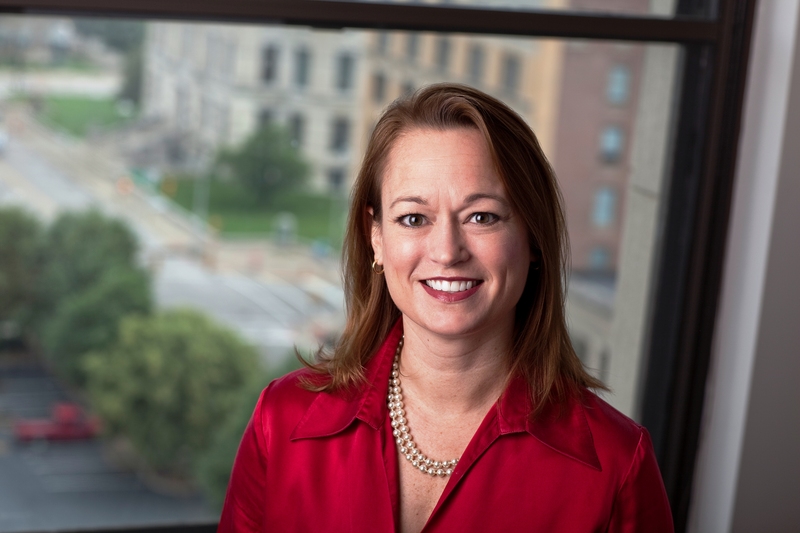 I do all things marketing for the firm – advertising campaigns, website development, internal and external communication, press releases, sponsorships and donations, event planning, sales training for the attorneys, and more. As with every job, there are always challenges, but I work with wonderful people and it’s a total dream job. Q. Would you give up your day job to write full-time? That’s a tough one. I totally love my job! Luckily I’m not at a place where I have to make that decision, because I know it would definitely be a difficult one for me to make. Not many people love their day job – I’m a pretty lucky gal. Beach, hands down. My husband and I started our relationship in Myrtle Beach, SC, and then a year later, were married there. It’s our absolute favorite place in the world, and we try to get back there at least every other year. I’ve never vacationed in the mountains, but have driven through them many times. I’m a very nervous passenger (Mark is nodding his head in agreement so hard, I’m afraid he may hurt his neck!). Suffice it to say, the curvy highways, tunnels and crazy traffic going through the mountains normally has me sitting with my head between my knees, my eyes clamped shut! I was told once by a fellow writer/friend that my “voice” was very similar to Alice Sebold (The Lovely Bones, The Almost Moon). Did she influence me? No, I read her work after I started writing, but I did pick up both of those books just to study her voice and delivery. She’s incredible, very powerful writing. I’d say I’m probably more influenced by the stories and authors of YA works – I love the creative plotlines and the sheer entertainment of being swept into a story so imaginative and beyond anything our every day mundane reality could provide. I adore both the Harry Potter and Hunger Games series, and our bookshelves are lined with books from all kinds of YA authors – Rick Riorden, JK Rowling, Suzanne Collins, Eion Collar, Tolkien, Christopher Paoilini, C. S. Lewis, Stephanie Meyer. Oh, I’m all over the board with what I read. I love the Harry Potter series, both in literature and in movies (though the books are always better!). I completely lost myself in Suzanne Collins’ YA Hunger Games trilogy. Stieg Larsonn’s The Girl with the Dragon Tattoo and the two subsequent books were very interesting, great characters – I really do wish we could have gotten more from him. Anything Dean Koontz, James Patterson, Nora Roberts, Alice Sebold. My bookshelf is a hodgepodge of different genres. Q. Tell us about your writing process. When do you write? How do you block out distractions? Family, social media, etc? There’s no blocking out distractions at my house – between a husband, four kids and four pets, the house is at full volume all the time! On top of that, I also I have a full-time job… Pretty much the only time I get totally to myself is my lunch hour, so I dedicate this time to writing. I like to have complete silence (which is hard to come by in my house! ), so this works best for me. It makes the process of novel writing long, since I don’t have all day to write, but it’s a nice mental break from my work day. Q. Since publishing, what has been the most rewarding moment to date? I think the most rewarding thing has been the few reviews and comments I’ve gotten in from teenagers. The books were written for teens, but surprisingly enough, most of the feedback I have gotten have come from adults. Adult fans are fabulous too (! ), but my original goal was to captivate teens, especially those who don’t necessarily enjoy reading. I’ve got a friend over in the UK who messaged me the other day. Her 12-year-old son found the Justice series on her Kindle and devoured both books in two days. Her comment to me – “He’s a very picky reader.” And now: “Kim Jewell is a name spoken with awe this house now.” That is beyond comprehension for me. Totally humbling. Q. Your covers are gorgeous. Do you do them yourself? Oh gosh… Thanks so much! Yes, I do my covers myself. I’m in marketing, but am not a graphic artist by any stretch. I can find my way around Publisher and I do know enough about design to understand how to make thumbnails stand out on the computer screen. Funny story, though… When I went to set up the two Justice books for paperback, the images I had used were not big enough to blow up for book covers, so I was back to the drawing board looking for images. It was my husband’s idea to use the double helix theme to tie in with the genetic engineering that the characters went through. Hence, the current covers for Invisible Justice and Brute Justice are brain children of Mark’s. He stood over me as I designed them. I’m struggling again, trying to find the right image and cover for my current WIP entitled After the Pulse. I’m toying with the idea of having a cover contest, and opening it up to people who really are talented with design! Q. All writers have those moments when something isn’t coming together. Do you have a process to work through that or do you let it sit and wait for the ah-ha moment. When things are flowing well creatively, you’ll find me pecking away on the keyboard. I can type much faster than I can write longhand. But when I’m struggling, I like to get back to basics – pick up one of my favorite pens and sit down with a notebook to work. It slows down the pace for me, allowing me to think through the plot points, and then I can edit as I type it into the manuscript. I also find that creative surges come to me in moments of quiet, when I’m mentally relaxed – on a walk, in the shower, driving to work. Sometimes when I just turn my mind off, it works better for me! Q. Kindle, Nook, or iPad? Q. Any advice for aspiring writers? First of all, I would recommend that aspiring authors read some of the books already available in the genre they intend to write. Know what is hot, what is “so last year,” try to understand what your readers want to read. My next bit of advice would be to join a writing group of some kind. If you don’t have one readily available, there are tons of them online. I started with authonomy.com, a writer’s community started by HarperCollins for all types of books. HC also has a teen version of this community called inkpop.com. Wattpad is also very popular. You’ll be able to read other people’s work, and have them read yours in return. You’ll get lots of reader feedback that way. And finally, don’t be afraid to ask for help when you’re ready to edit. If you can’t hire a professional editor, ask your friends and family to help you. The thing is, often times when a writer is editing, he or she will read what they intended to be there, and actually gloss over typos in the process. Spell check doesn’t catch everything – a fresh set of eyes on your work is much more valuable! From Deanna: Wow! Thanks, Kim, for stopping by today. You are one busy lady, and personally I am in awe of how you get anything done with a full family life, full-time job and your busy writing schedule. You have managed to hook me on your books. My own reading preferences are all over the board usually but I love a good contemporary fantasy and your books sound just my speed.